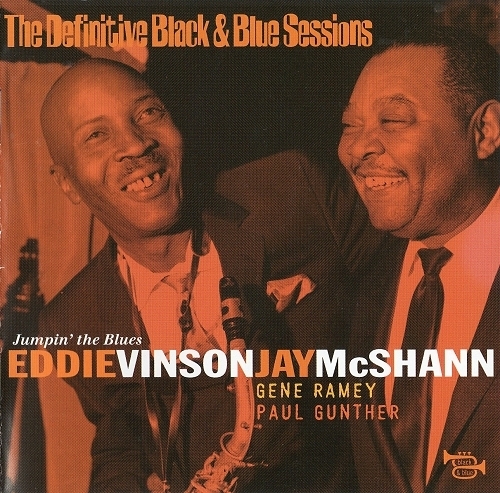 Eddie Vinson and Jay McShann - Jumpin' the Blues - Música en Taringa! As part of The Definitive Black & Blue Sessions series, alto saxophonist Eddie "Cleanhead" Vinson is spotlighted on 14 digitally remastered tracks, recorded at Cargo Studio in Paris on March 9, 1969. This straight-ahead session pairs Cleanhead with pianist Jay McShann, Gene Ramey on bass, and McShann's drummer at the time, Paul Gunther. While this disc doesn't contain any unreleased tracks, it does feature several first-rate renditions of Vinson's signature tunes, including "Mr. Cleanhead Blues," "Kidney Stew," and "Juice Head Baby."